SeaWorld Orlando Packages | Lowest Prices Guaranteed! By booking your SeaWorld Orlando tickets and your Orlando hotels or vacation home rentals together (SeaWorld Orlando Packages), our guest typically save an additional 12% as compared to buying everything a la carte. To make a SeaWorld Orlando Vacation package reservation, please use our custom vacation package builder above. All you have to do is enter your dates of travel, and how many adults and children you have in your party. The package builder will first show you the lodging options we have and then it will walk you through selecting your SeaWorld Orlando theme park tickets. 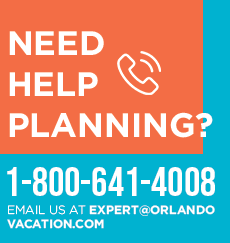 If you need assistance at anytime in the reservation process or you have a question please feel free to call one of our SeaWorld Vacation Package specialist at 1-800-641-4008. We have the lowest prices on hotels, vacation homes, and theme park tickets in Orlando, FL. Awarded The best of Orlando “Online Travel Agency and Booking Site” for the past five years. All we ask for is a $50 deposit to secure your reservation. Theme parks usually raise their ticket prices twice a year. However this will not affect you, as we will honor your final reservation price. We offer the best and easiest cancellation policy in Orlando. Click here to view our reservation policy. Please note, this package includes the weekend SeaWorld ticket. These SeaWorld Theme Park Vacation Package prices might vary depending upon the hotel and the time of year you are traveling. The rates are available if you stay during low season. The prices are based on 2 adults and 1 child and it does not include tax.